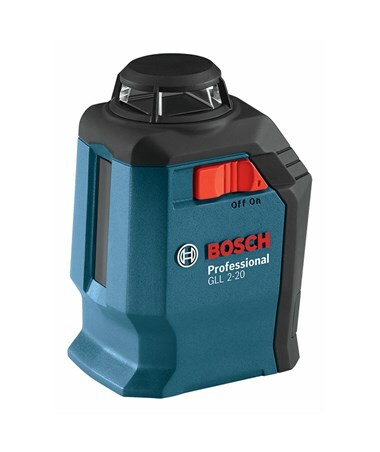 The Bosch GLL 2-20 Self-leveling 65' Cross-Line Laser with 360° Horizontal Plane 0601063J10 gives you the convenience of a level plane that goes all the way around the room. You only have to set up once, then multiple people can work off the 360° beam. 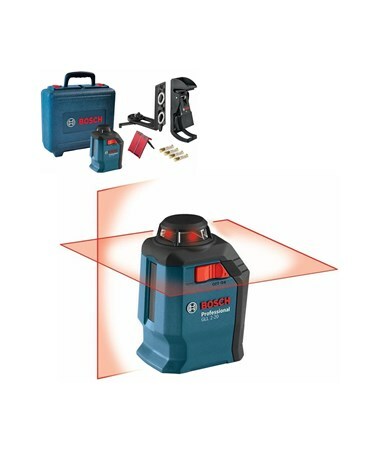 This laser level is self-leveling within ±4°, with an out-of-level warning indicator. The smart pendulum locks itself when the unit is turned off. This protects the mechanism during storage and transport, so you don't have to worry that it may have been knocked out of level. 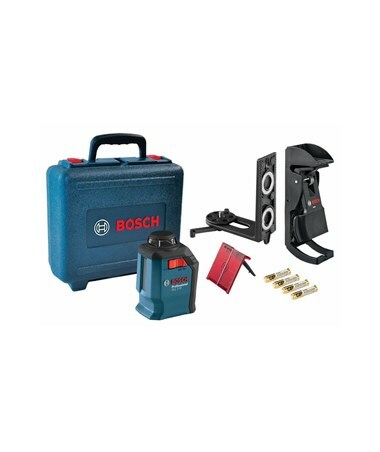 You have a smorgasbord or leveling modes to choose from with this Bosch laser. It will project a horizontal line, a vertical line, or both at the same time. A 120° cross line gives you a wide variety of plumb and layout applications. 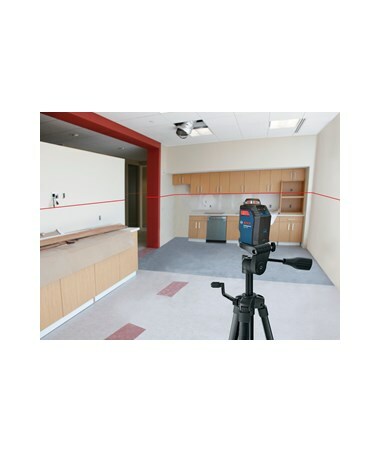 With the manual mode, you can set this line laser to the angle of your choice. The multi-purpose mounting device gives you even more set-up options. You can also use the 1/4 x 20 thread to attach the GLL2-20 to any compact tripod. 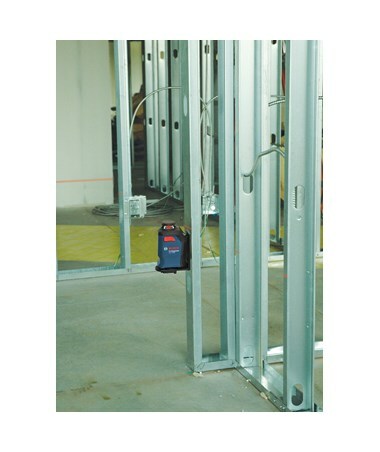 With a 65' range and an accuracy of ±3/16” @ 30', this is a great laser level for most indoor applications. 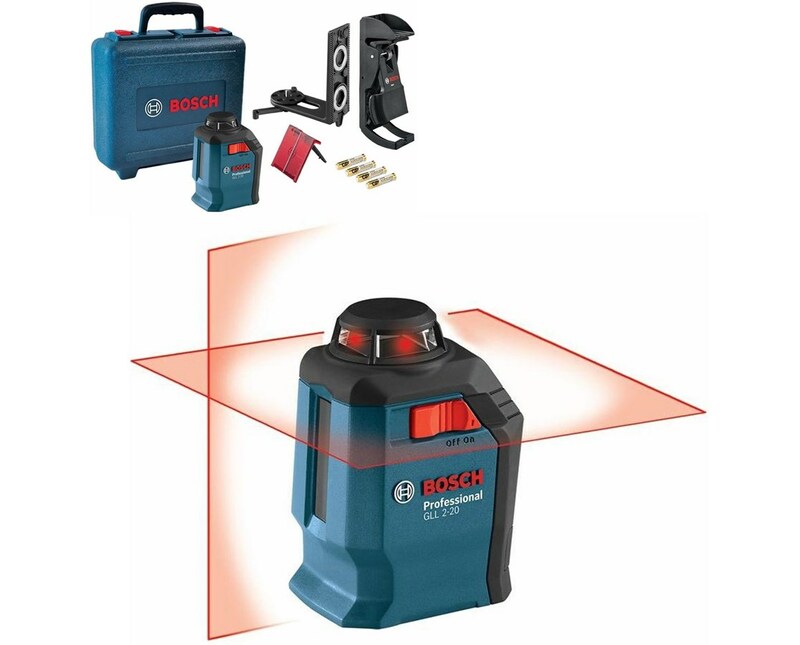 The Bosch BM3 Positioning Device has retractable feet so you can set it up on the floor or any flat surface. It has strong magnets for easy attachment to steel studs. You can quickly set up for ceiling grid layout by using the spring clip to clamp the BM3 to the wall channel. There is also a slot so you can hang it from a screw or nail. A fine adjustment knob makes positioning the laser fast and easy. It has a 1/4 x 20 thread so you can attact it to tripod without having to separate the laser from the mount. This package comes with everything you need to get started: the GLL-20 laser level, BM3 mount, a laser target, and carrying case. This cross-line laser uses 4 “AA” batteries, which are also included. Dimensions of the kit are 10.5”L x 5.5”W x 10.5”H. It weighs 3.8 lb. There is a 1 year limited manufacturer's warranty. You can take advantage of the 2-year extended warranty if you register your unit within 8 weeks of purchase.